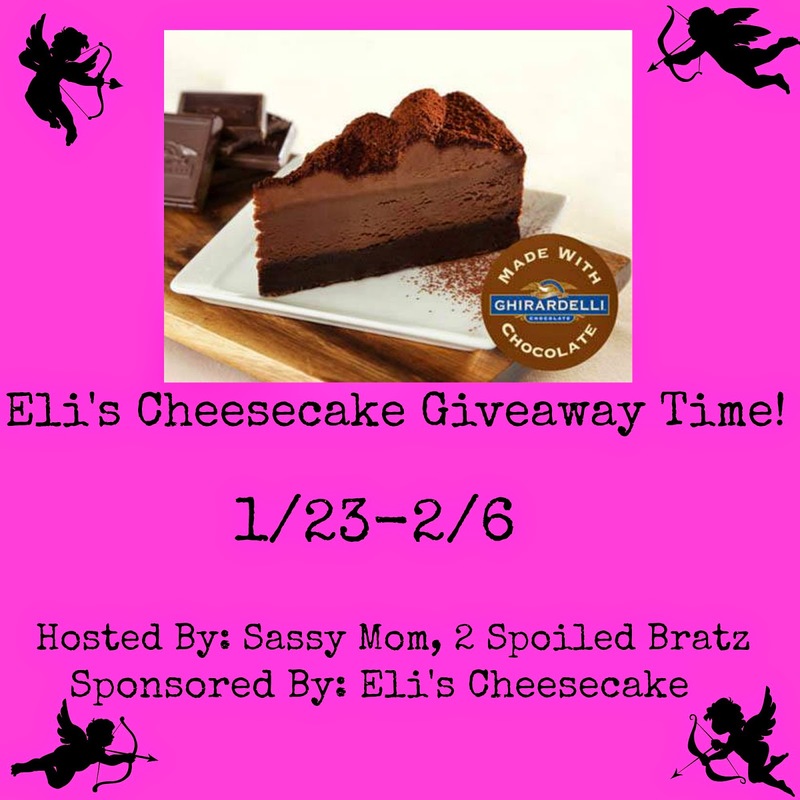 Sassy Mom, 2 Spoiled Bratz and Eli's Cheesecake teamed up to bring you a giveaway for one of Eli's amazing cheesecakes! The bloggers promoting and hosting this giveaway is not responsible for prize fulfillment. Eli's Cheesecake will be in charge of that. I love plain cheesecake the most, I think it is so good that it doesn't need anything added, although pumpkin cheesecake is pretty good. My favorite is plain cheesecake with some cherries on top. I would share with my hubby and daughter, and son and his GF if they were around in time haha but it would be gone fast! I would get something fruity or just plain - why mess with perfection :) Thanks for hosting the giveaway and good luck to all who enter!